Aglow Corporate Services Pte Ltd is an integrated professional services firm offering Accounting and Bookkeeping, Corporate Income Tax, GST, Payroll Administration and Corporate Secretarial services. 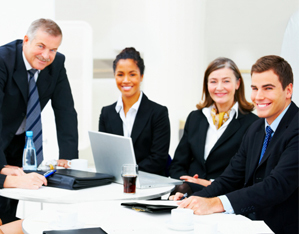 Our staff comprises of qualified accountants (CA Singapore) with many years of working experience in commercial firms. We believe it is our industry knowledge and understanding of the business dynamics that made us the team to be reckoned with. It is our mission to establish long term partnership and to grow with our clients. We understand the challenges faced by our clients in coping with rising costs and having to comply with the rules and regulations of various authorities such as ACRA (“Accounting and Corporate Regulatory Authority”) and IRAS (“Inland Revenue Authority of Singapore). Hence, we are here to help our clients tackle these challenges. David is a professional accountant who has more than 17 years of experience in accounting, costing, taxation, auditing and finance. He has worked at senior level with MNCs in various industries, including a Japanese manufacturer, Korean FMCG distributor and Hong Kong precision engineering company. David is a member of Institute of Singapore Chartered Accountants (CA Singapore), The Association of Chartered Certified Accountants, United Kingdom (FCCA) and The National Institute of Accountants, Australia (FPNA). David is passionate about working with business owners to grow their business and improve their profits. © 2012 - Aglow Corporate Services Pte Ltd. All rights reserved.